History is peppered with pieces of technology that either looked beautiful but performed poorly (Apple EarPods) or worked beautifully but looked poor (pick almost any hi-fi separate). Yet, on the few occasions when a company managed to pull off the near-perfect product – one that had design to match exceptional functionality – far more often than not these devices garnered a following and sold well. On paper it seems a simple formula, which makes it all more baffling that so many brands, including luxury marques, fail to follow this obvious path – until now, that is. Something has happened recently in the world of tech. Design, usually an afterthought once the technical build is done, has started to be considered as important as technological innovation. A good example is mobile phones. For years Apple's competitors thought they could see off the iPhone by offering similar or better specs, only to be left scratching their heads when Apple doggedly held onto the vast majority of the high-end mobile market. Only in the last two years did the industry begrudgingly concede that people had to love how the phones looked just as much as how well they worked if they wanted to best the King of Cupertino. Television design, which is usually deathly dull, is another fine case study. Three years ago, Samsung released the Serif, which was inspired by the shape of the letter ‘I’ in a serif font. Cleverly, rather than relying on the in-house design team, the company brought in Ronan and Erwan Bouroullec, whose previous clients included Vitra and Flos, to decide how the set should look. 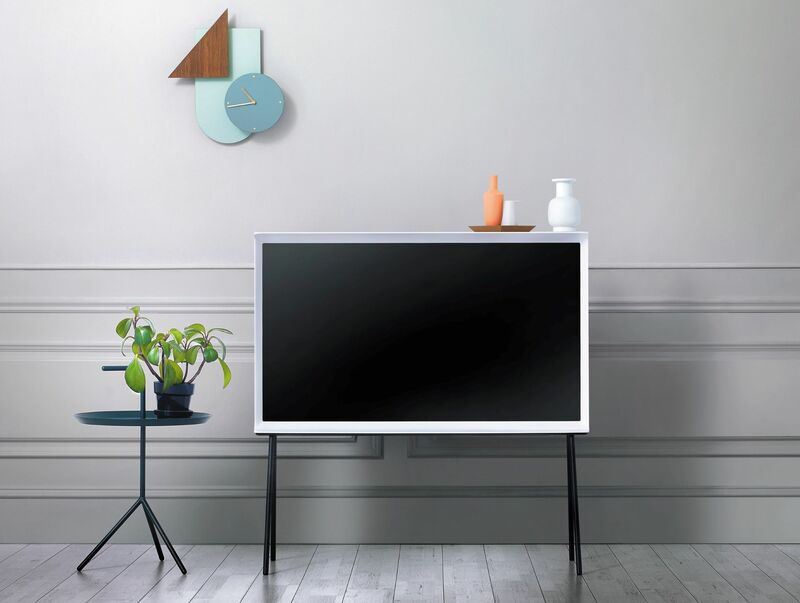 The result was an award-winning, retro-looking television that was unlike any other then on the market. Sony then countered the following year with its $100,000-plus ZD9 television. Apart from boasting the latest screen-based technology and a rear design inspired by Japanese lattice paper walls, the real attraction was the set’s real gold bezel around the screen. So important was this detail deemed, the manufacturer tested seven different hues of the precious metal to get the final desired shade just right. One particular company, however, is leading the field in television aesthetics, and again it is a brand that has sought the help of an established designer. Loewe recently made Bodo Sperlein its creative director, and the change in its products has been remarkable. 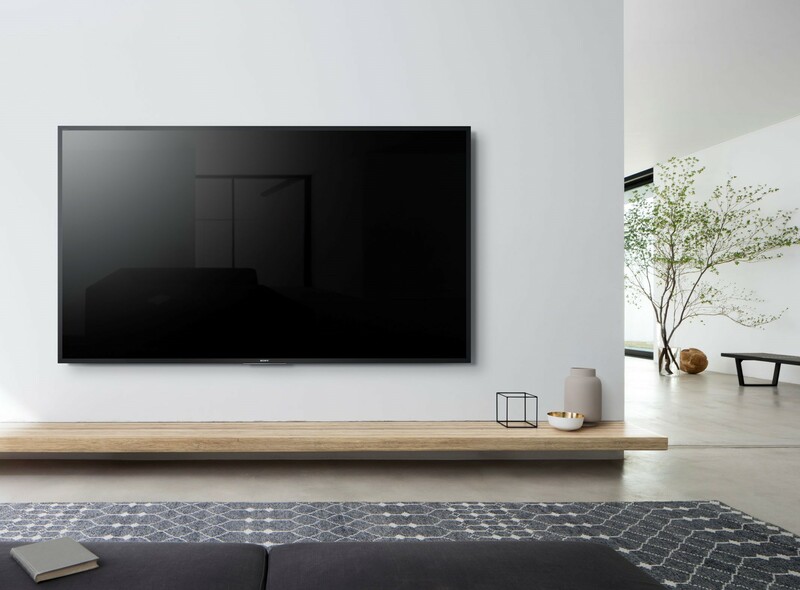 First, the German-born, London-based designer crafted the exceptional Bild 9, which looked more like a piece of linear sculpture than a piece of consumer electronics, and now comes the Bild X, a $7000, 65in OLED thin screen suspended within a steel frame. The design itself has been inspired by the way sails are attached to a boat’s mast and is completed with either a polished marble weight at the base or steel cross structure (both available in gold or black finishes). 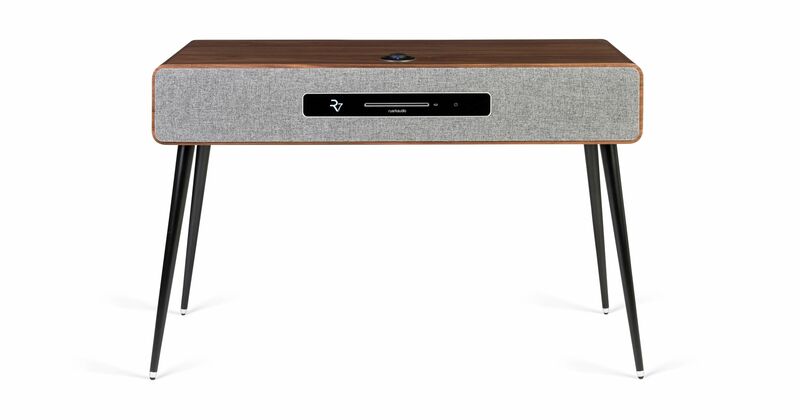 In the world of audio, the Ruark Audio R7 Mk3, first launched in 2013, is reminiscent of your grandparents’ radiogram, albeit a much more stylish version. Now, with this new third generation, Spotify Connect comes built in, and while the mid-century design (including wooden legs) sells the aesthetic, there is nothing antiquated about its performance. As well as CD and DAB, the $4300 R7 can also support 24-bit hi-res audio, which should please the most pernickety of audiophiles. It even can link with other R7s to play music multi-room. Technics has also gone for a retro aesthetic with its new MOMA-worthy SP-10R, which pays homage to the brand’s iconic SP10 record player from 1975. The heart of the SP-10R is its reworked coreless direct drive motor, but the eye is naturally drawn to the stunning 7.9kg heavy platter that features a three-layer structure consisting of brass, aluminium and rubber. Cleverly, by optimising the natural frequency of each layer, vibrations are suppressed so your vinyl spins as smooth as silk. One final example of superb design in luxury tech appeared in the Bentley Continental GT unveiled in 2017, driven not by the engineering department but by Bentley director of design Stefan Sielaff. It had a three-sided ‘Toblerone’ console in the centre of the dash that flipped between a large 12.3in touchscreen, three analogue gauges (outside air temperature, compass and chronometer) and simple, plain wood, all at the touch of a button. “This was literally invented in the design studio,” Sielaff told Robb Report at the time. “From the technical point of view it is very complicated - legally the picture from the rear-view camera has to be displayed within one second to avoid accidents, for example. But if you want to have a paradigm shift in design and design language, you always need a technical innovation - otherwise you stagnate. It’s always best when you have an engineering team working together with a designer. It’s a win-win situation if the right people work together.” Indeed it is.